If you or your development team are thinking about introducing Progressive Web Apps to your customers, join this webinar where we’ll provide an in-depth review of Progressive Web Apps (PWAs), how PWAs work, key enterprise concerns, and how you can use Sencha technologies to create PWAs. - Key considerations before implementing PWAs, including topics such as security, data management, build automation, and deployment. 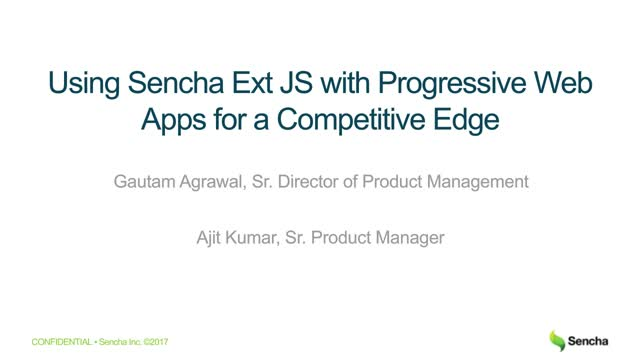 - How to create Progressive Web Apps using Sencha technologies. - How to turn an Ext JS application into a PWA in less than 10 minutes.